I remember Tanvi contacting me for her pre-wedding shoot. She had gone through my work and showed an instant liking towards the strong and bold colours I had used. 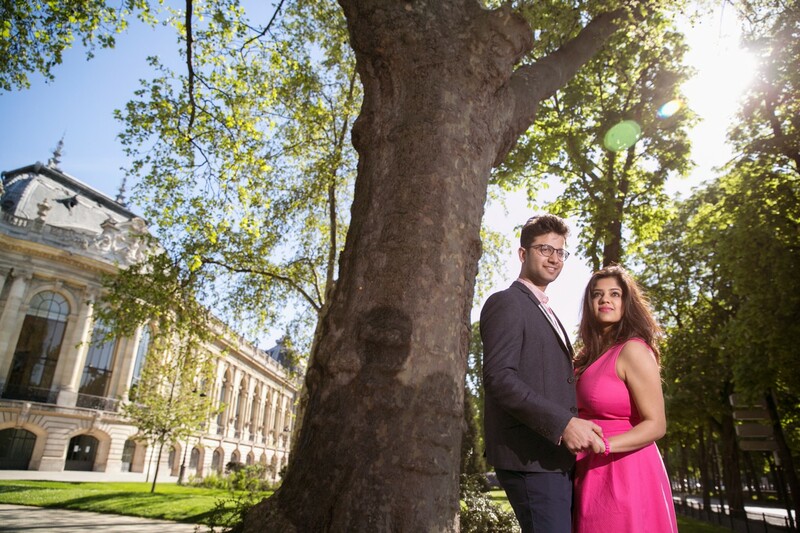 We spoke at length and she told me that it was her dream to shoot their pre-wedding moments in Paris. 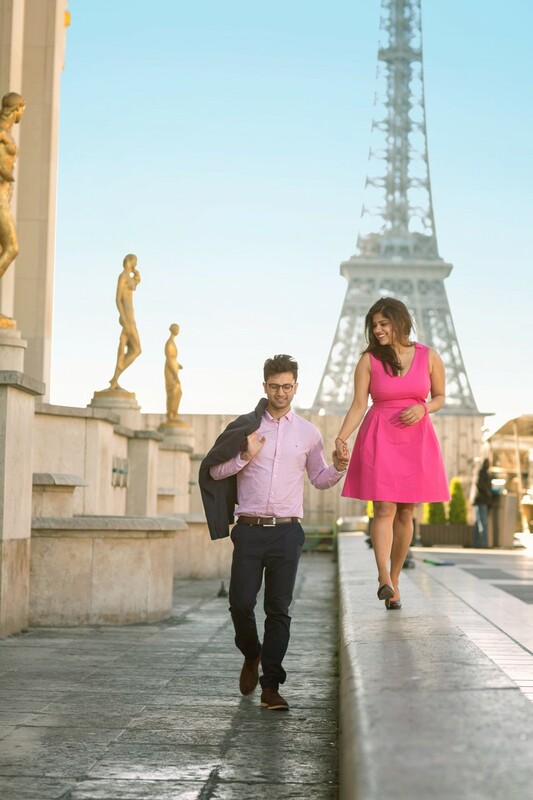 She wanted me to fly to Paris with them and capture all the romantic moments of her and Mukul. We reached Paris that month and I took some sparkling photographs of the couple. The mood and the setting was infectious and the city just lit up to the beauty of their romance. What I had captured for them was a perfect story of love and friendship that would be for them to treasure for a lifetime. I would say that for Tanvi and Mukul, nothing symbolized their story better than the city of love. In this city, a leisurely stroll down its serene alleys is enough to stir up a magical journey, and this special couple couldn’t do much but to give in. 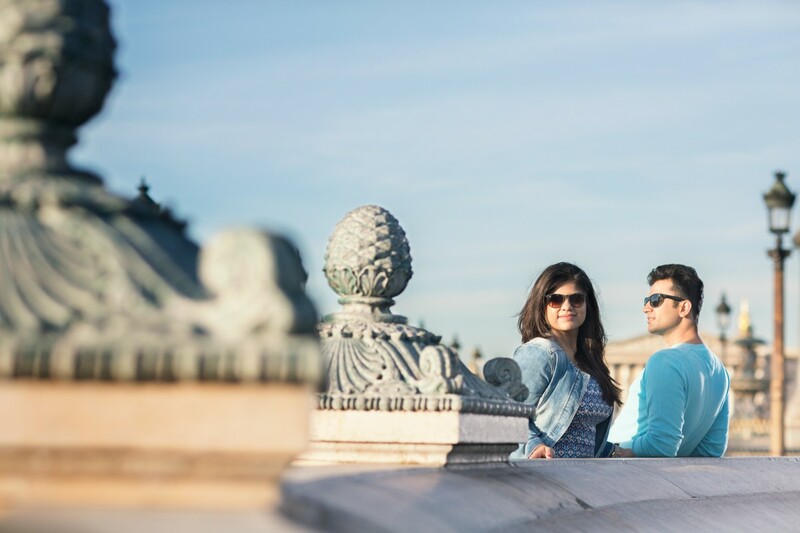 For them the mesmerizing evening started to get even more romantic as Mukul managed to lose himself into the love struck eyes of Tanvi in a tranquil spot around the Eiffel tower. No words were spoken and no meanings derived. A supernatural calm had already taken over their senses as they strolled hand in hand and stopped just to feel their heart go numb. Yes, this is what Paris is all about and the millions of love birds who travel this far to lay the foundations of a hearty love story, never get disappointed. And when the time was perfect, Mukul did say ‘Je t'aime’ and Tanvi was more than just impressed!